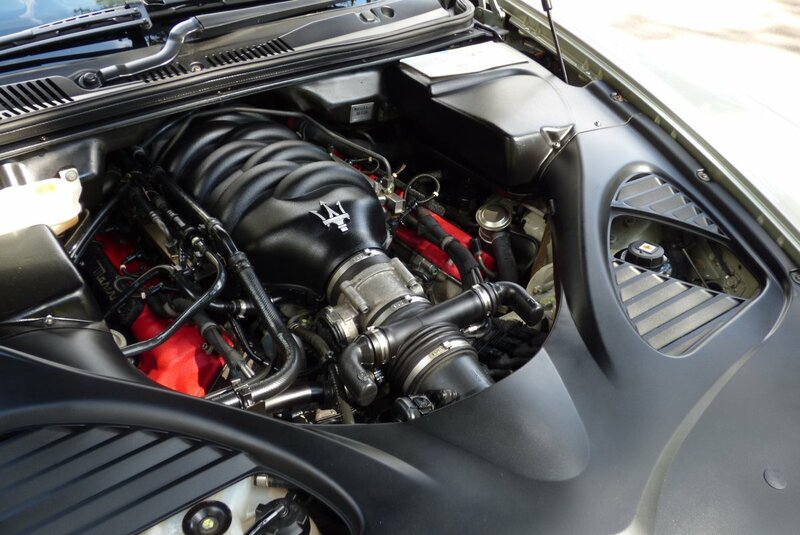 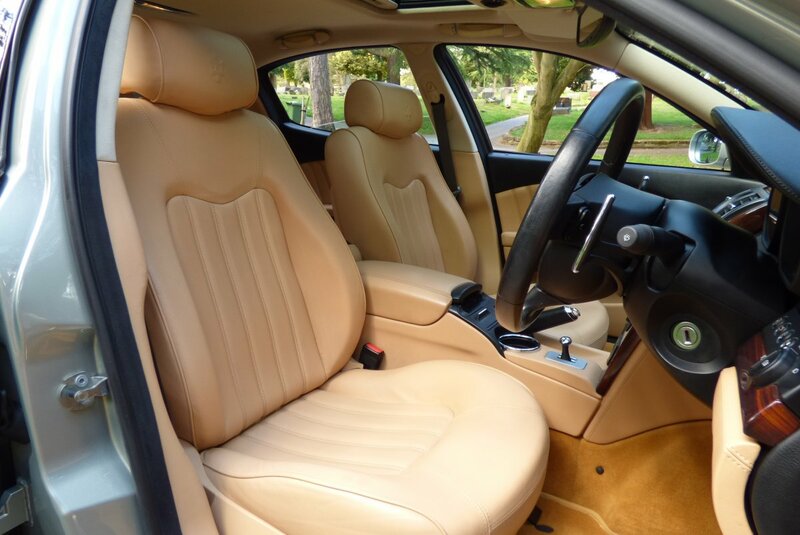 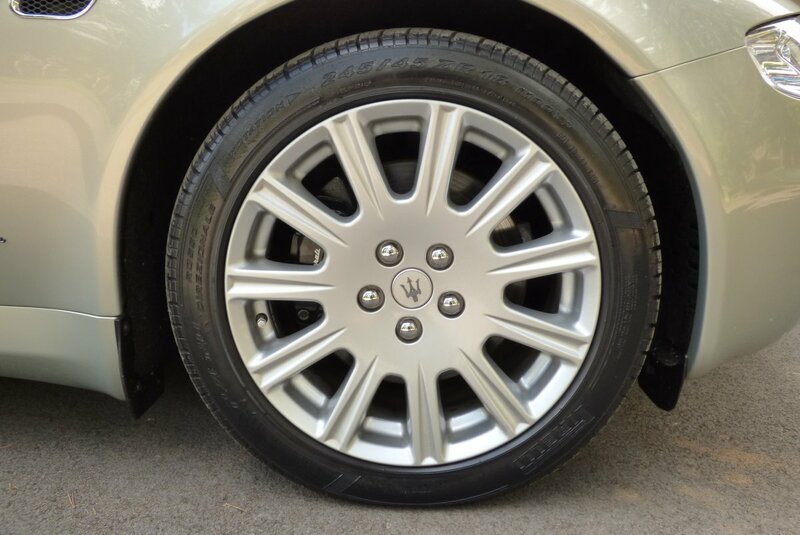 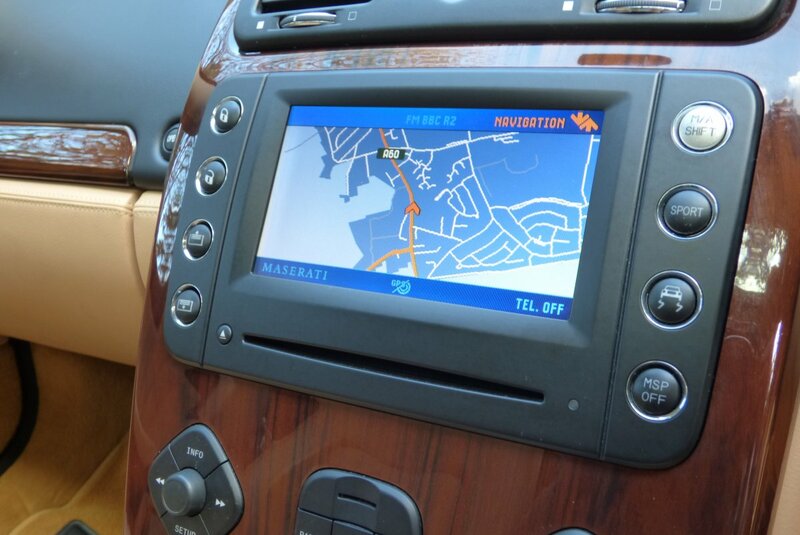 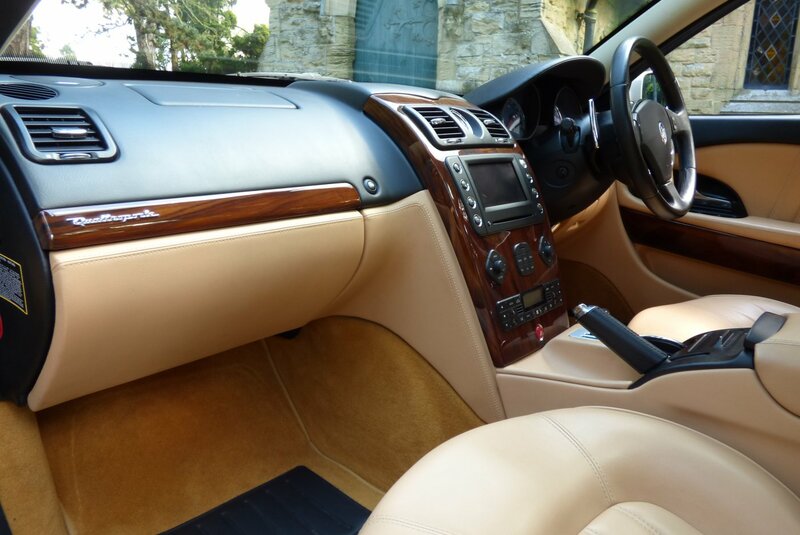 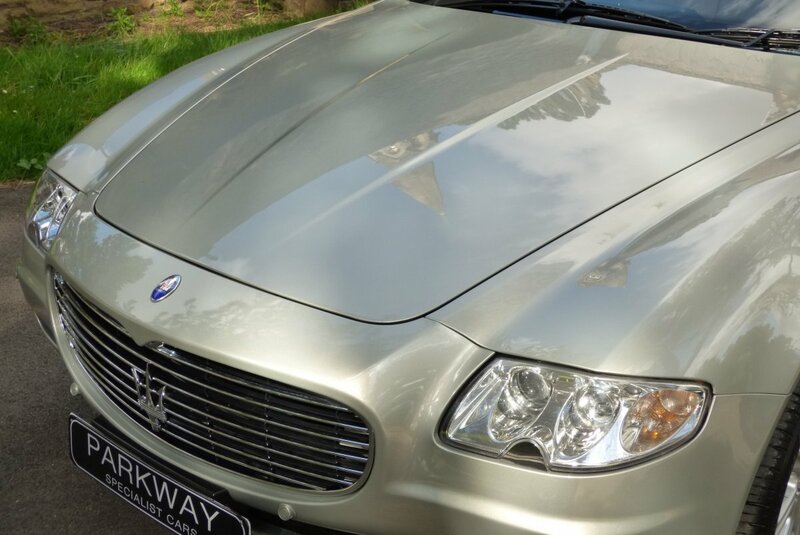 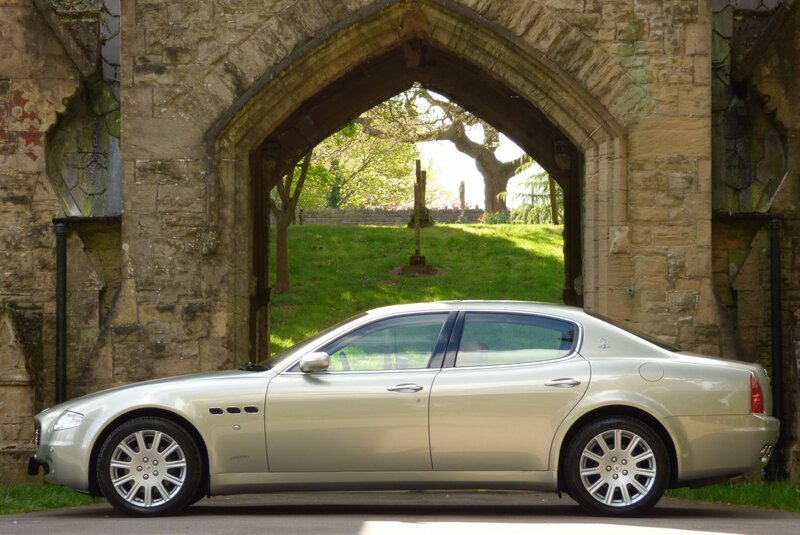 The Fifth Generation Of The Maserati Quattroporte Was Unveiled To The World At The Frankfurt Motor Show On The 9 Of September 2003 And Then Made Its U.S. Première At The 2003 Pebble Beach Concours d'Élégance, With The Production Starting During The Middle Of 2004. 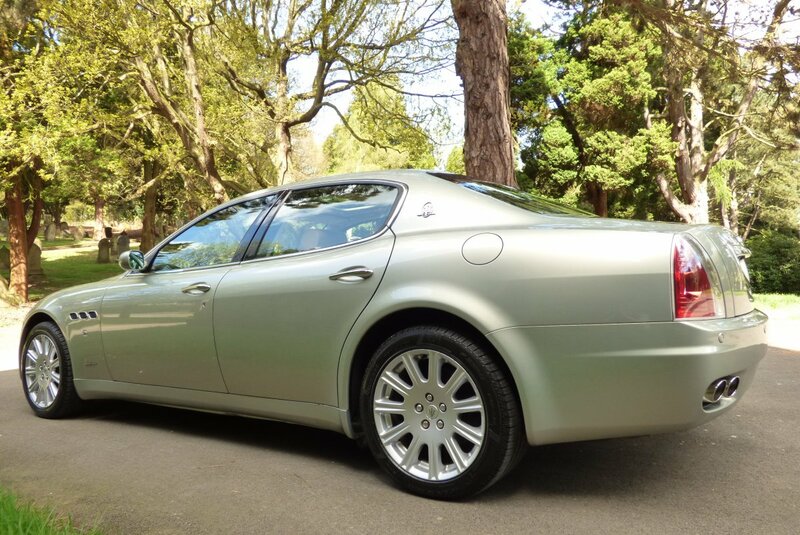 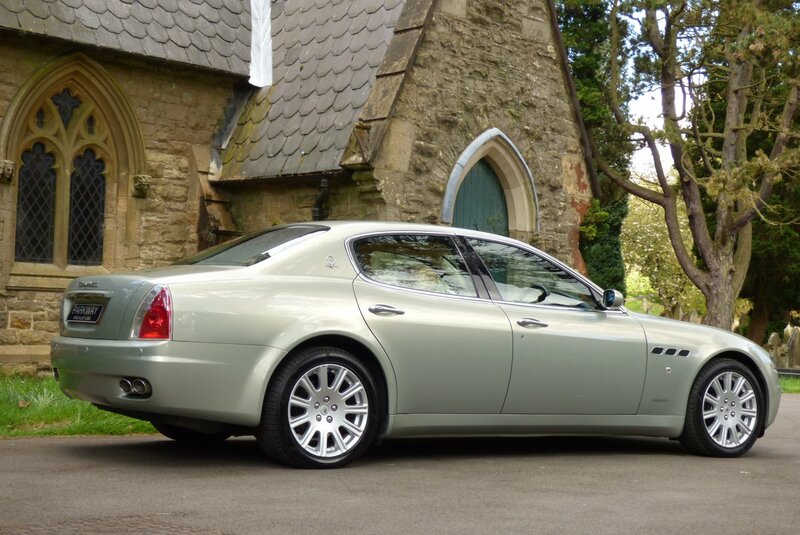 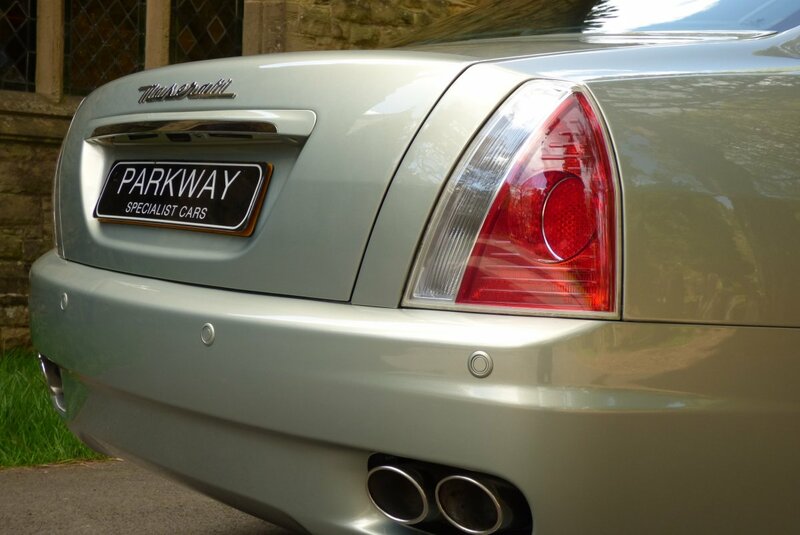 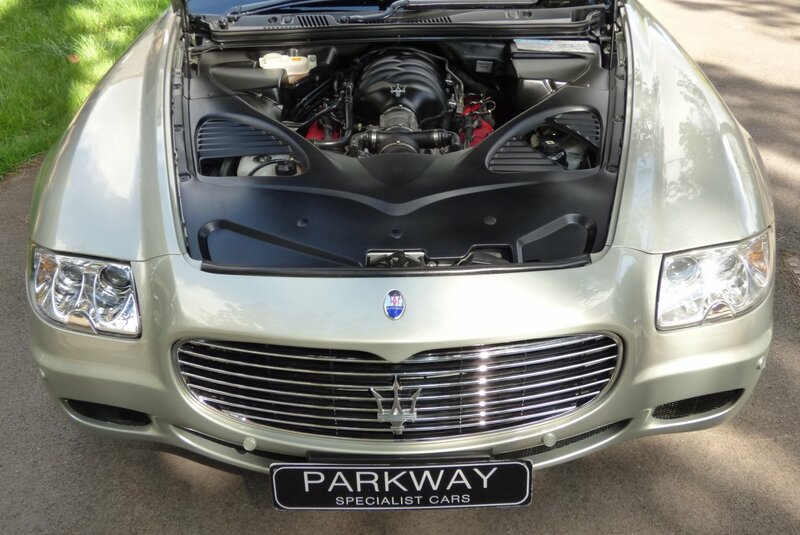 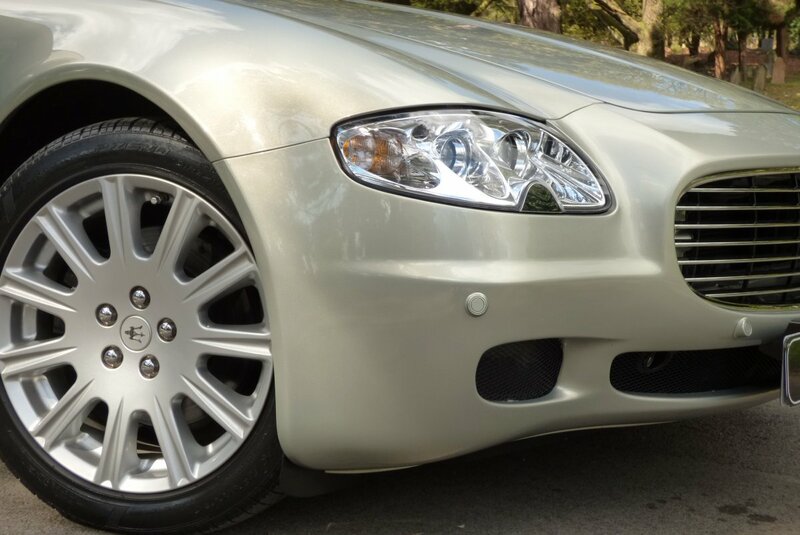 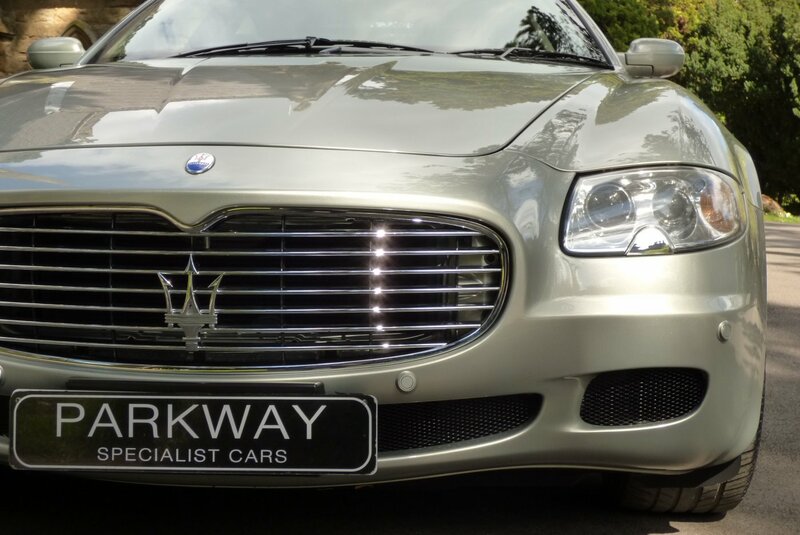 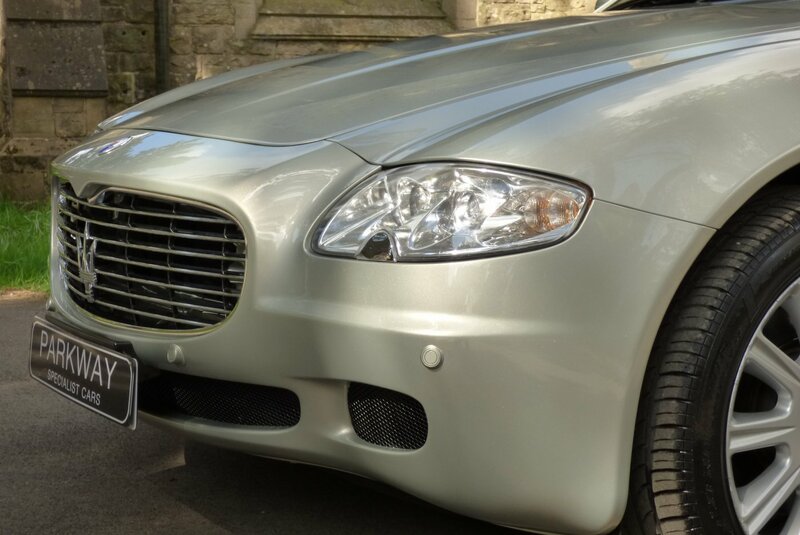 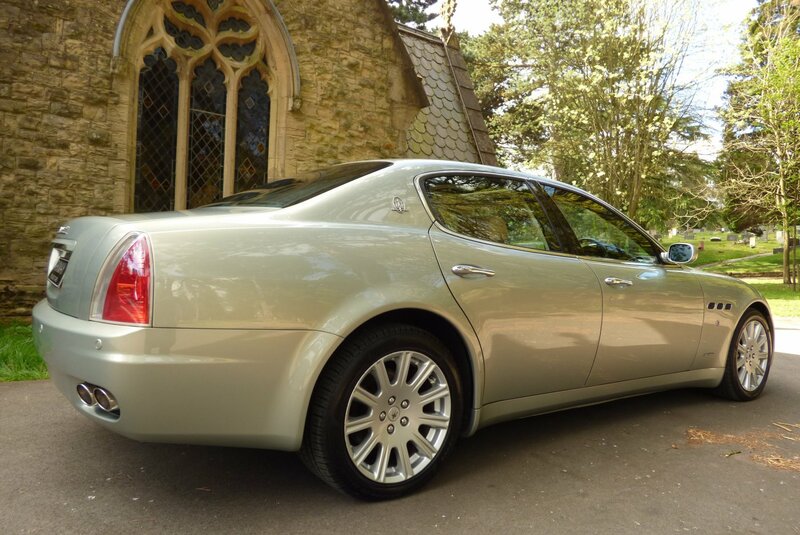 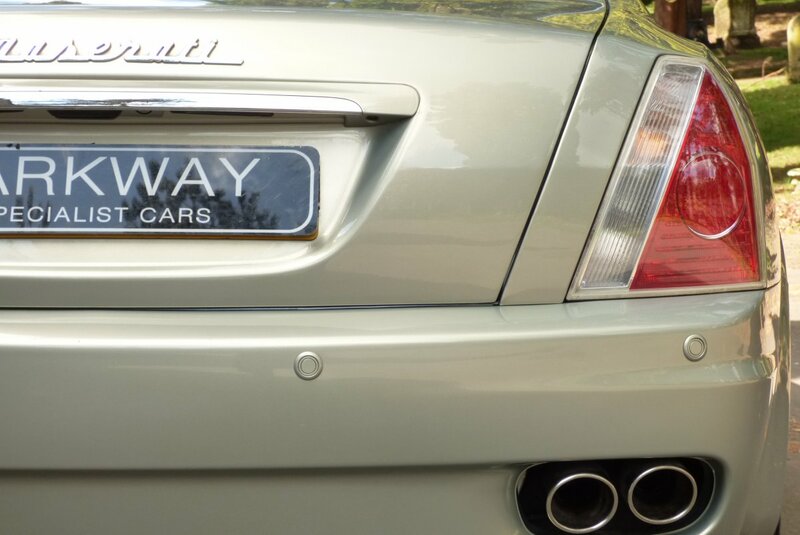 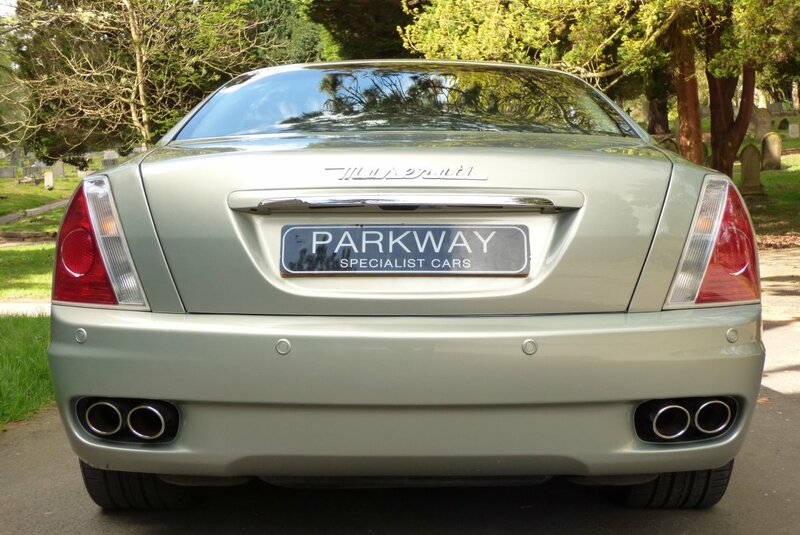 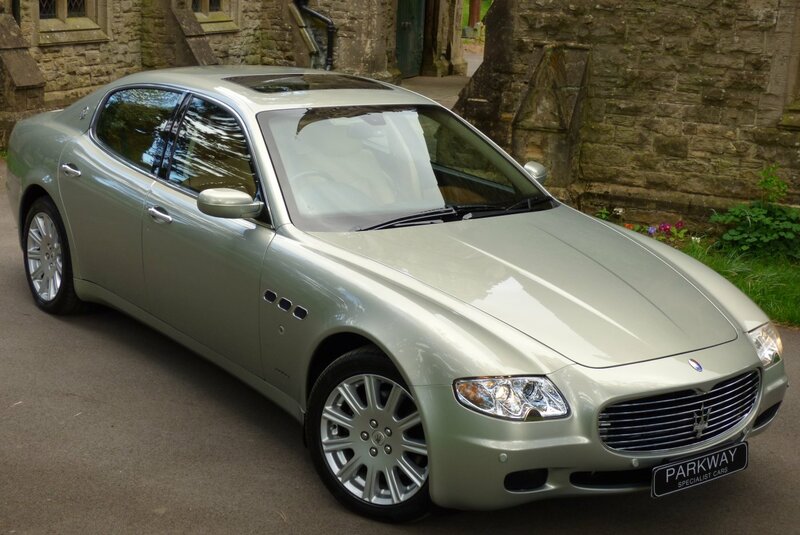 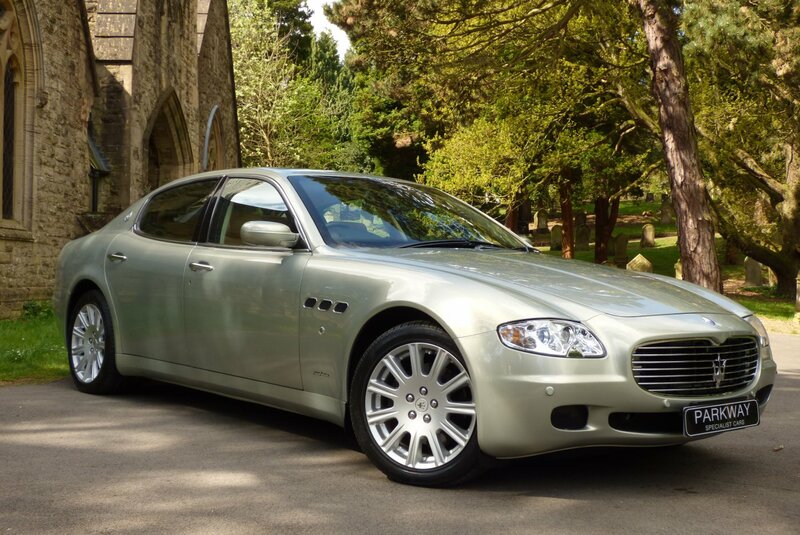 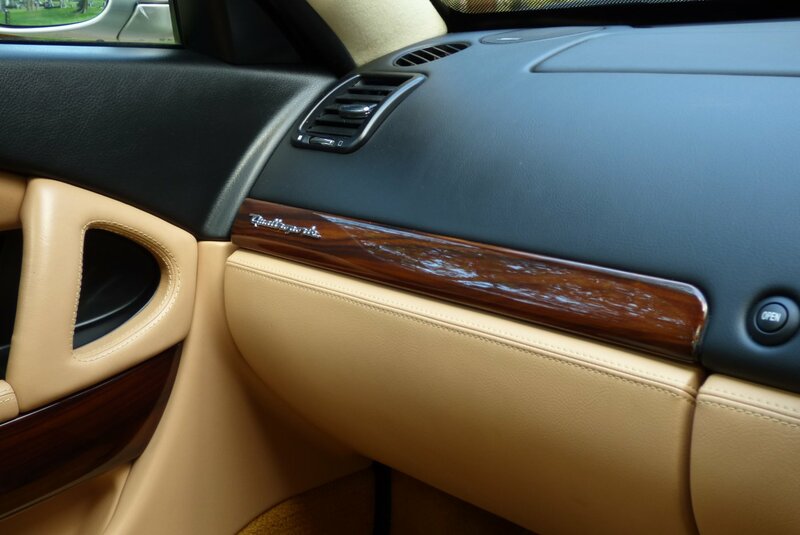 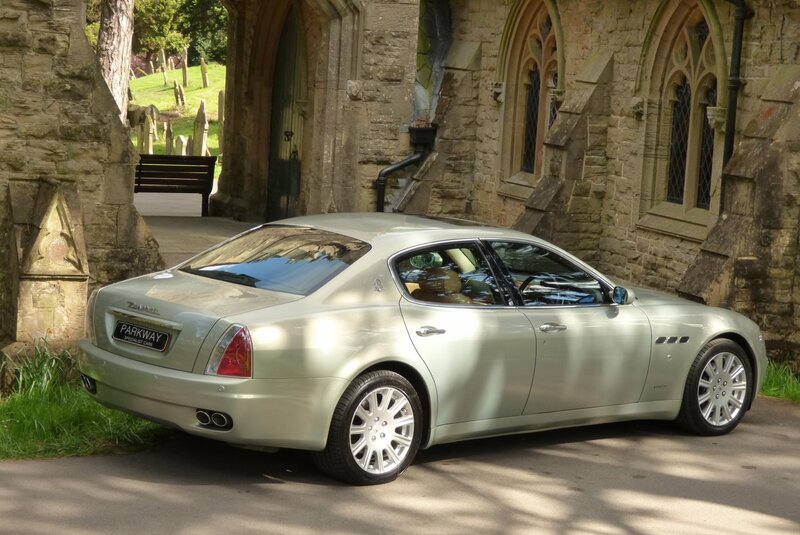 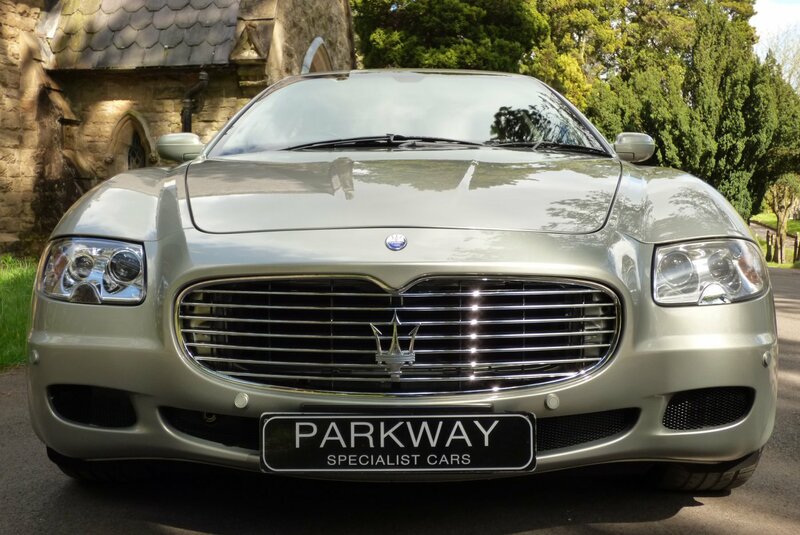 The Body Design Was Created By Pininfarina, With The Name Quattroporte Meaning Four Door In Italian, This New Model Was Longer Than Its Predecessor And Was So Much More Than A Car To Take You From Point A To B, This Indeed Was To Be A True Motoring Statement. 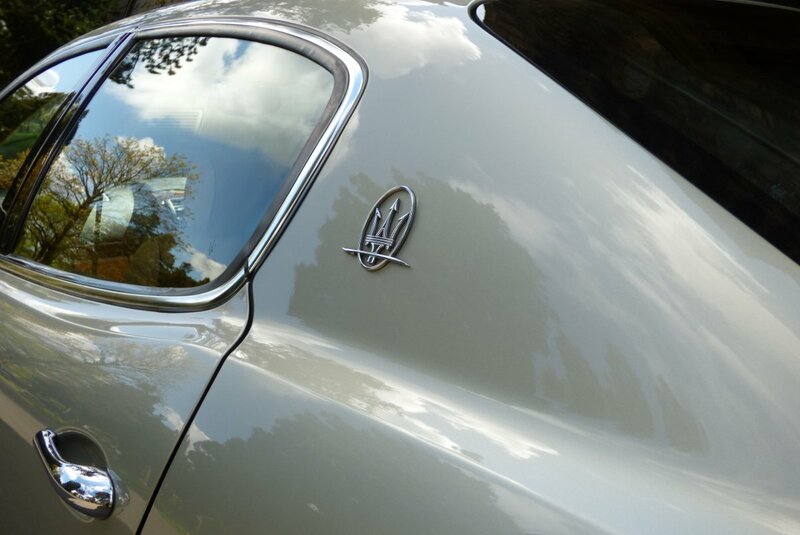 From The First Quattroporte Offering In 1963, The Car Was Aimed Directly At Clients Wishing To Own And Drive A More Stylish Large Luxury Saloon, Breaking Away From The Stereo Typical German Equivalent Vehicles. 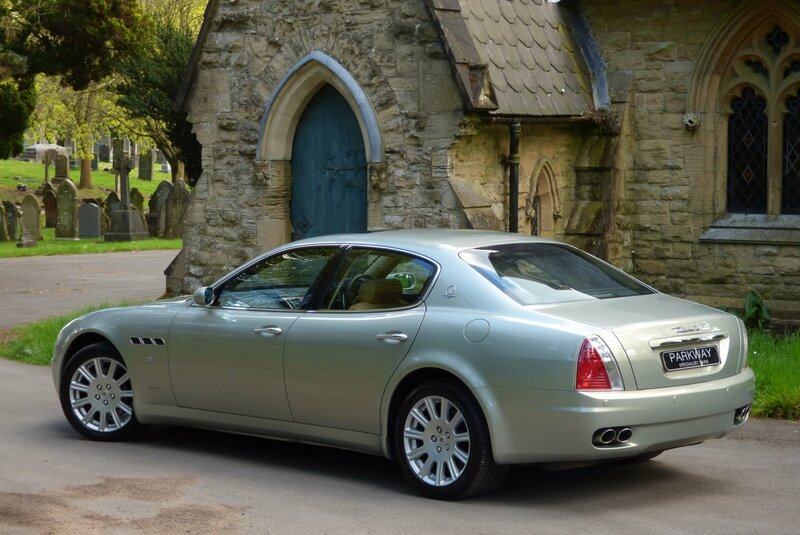 At The Time Of Build, The Body Was Not To Everyone's Taste With Radical Curves And Lines, However This Very Distinctive Design, Has Now Become Highly Interesting To A New Breed Of Buyers And Like A Good Red, The Car Has Matured Well Over Time. 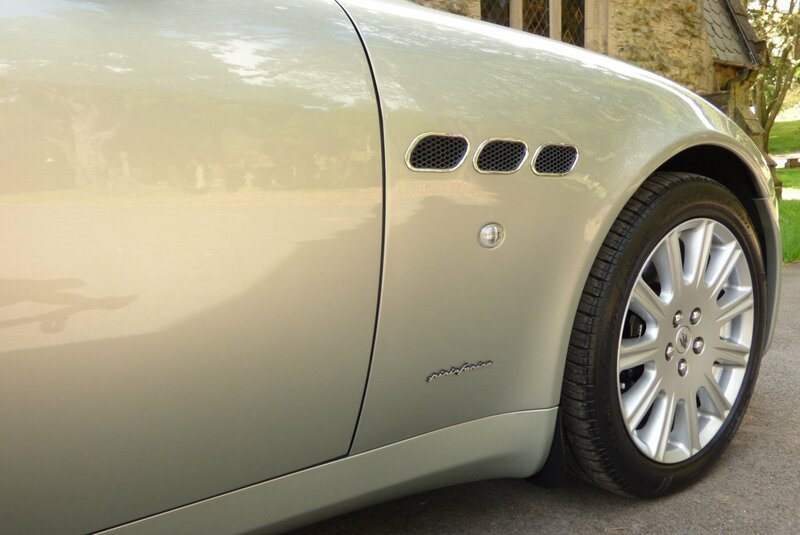 Today Clients Across The Globe Are Seeking Certain Cars That Will In Time Become Highly Desirable And Collectable And If We Match The Company`s Racing Past Pedigree, Along With The Knowledge That This Italian Based Car Manufacture Has A Wealth Of Experience In Building Some Of The Most Elegant Automobiles, Then The Tipo M139, Should Do Very Well Over The Coming Years. 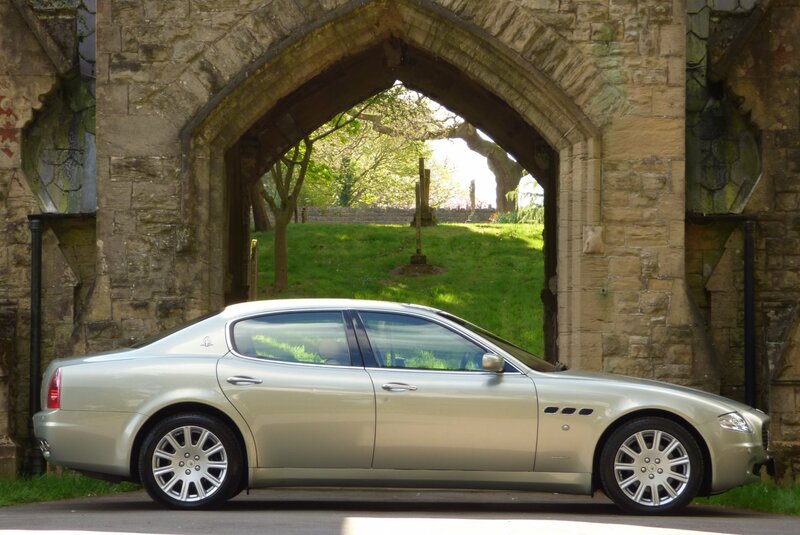 This Striking Example Was First Registered In The UK During The September Of 2004 By Maranello Maserati/Ferrari And Since This Point Has Just Had The Two Private Keepers From New, With The Last Acquiring The Car In The March Of 2007. 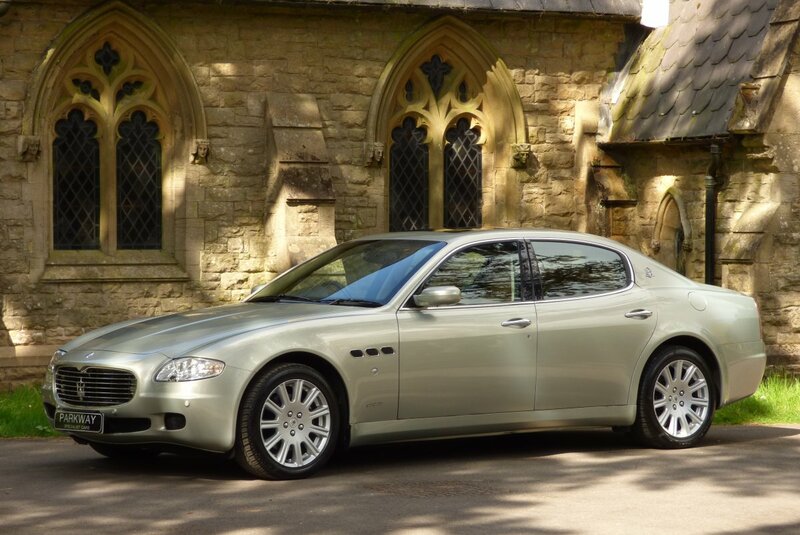 The Car Today Is Presented In Marvellous Condition, With The Provenance Increasing Due To The Current Maserati Service Inventory, To Include Visits At 6085, 8156, 14781, 19638, 24685 & 29493 Miles And Once Sold, Will Have A Full Service And Inspection Carried Out By Our Highly Trained Workshops.. 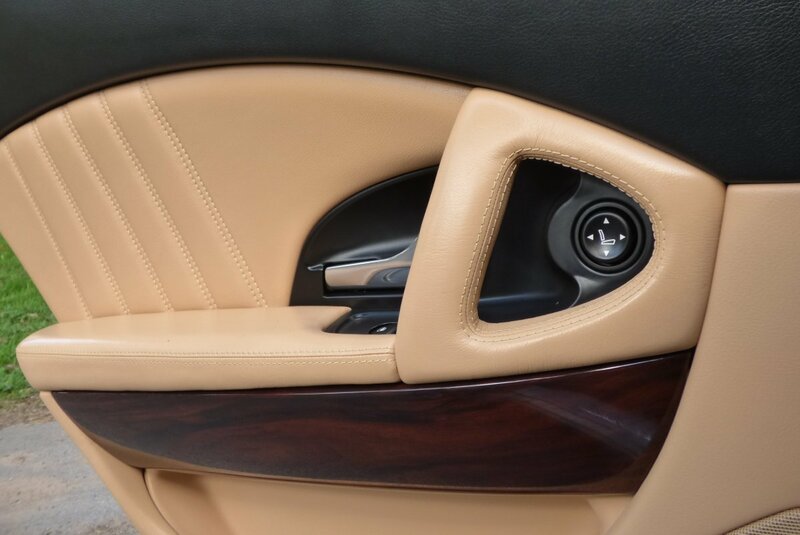 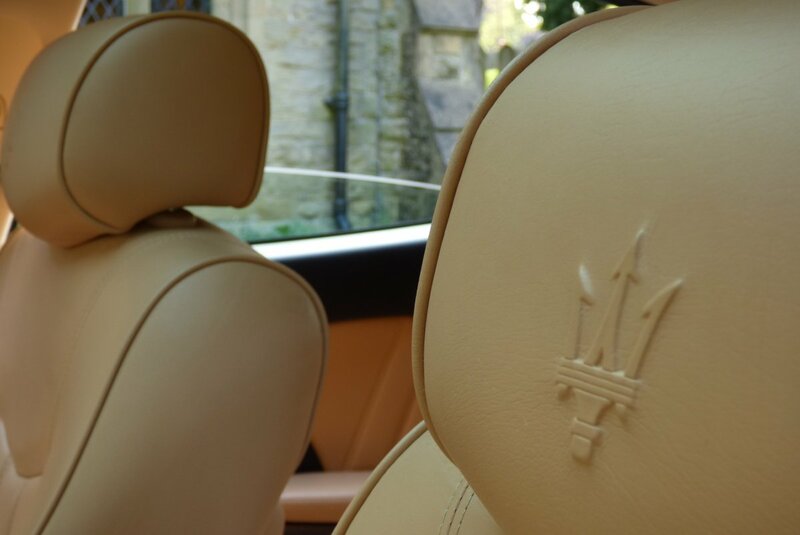 The Maserati Cabin Is More Of An Experience, Rather Than An Environment, Which Is Crafted To Evoke The Senses. 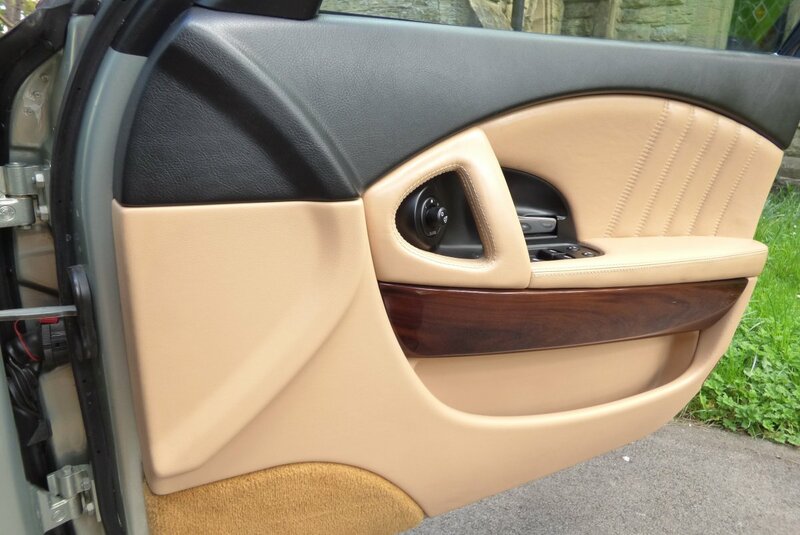 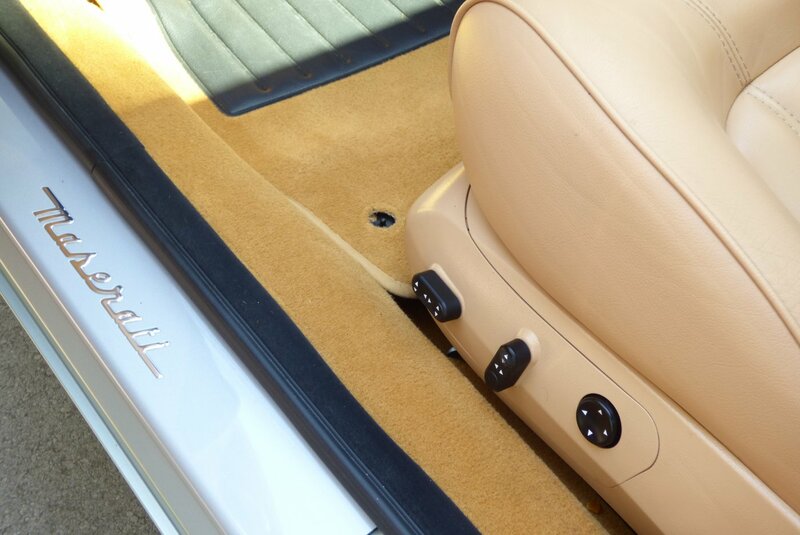 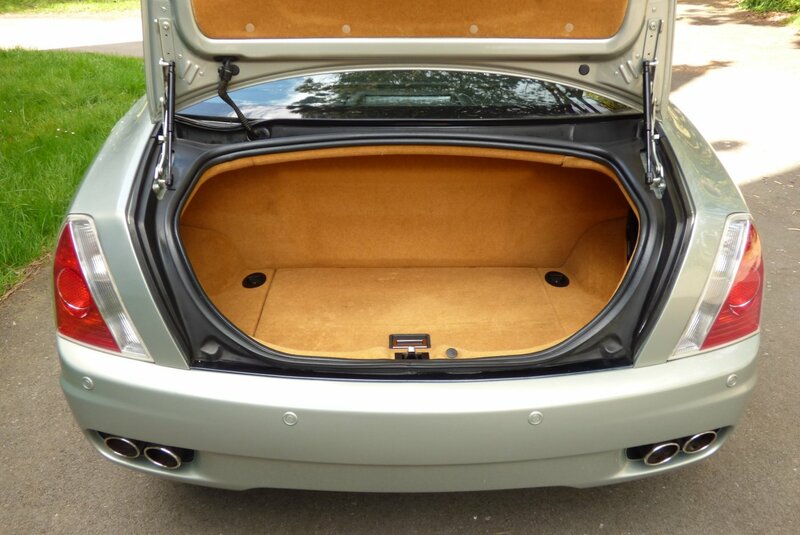 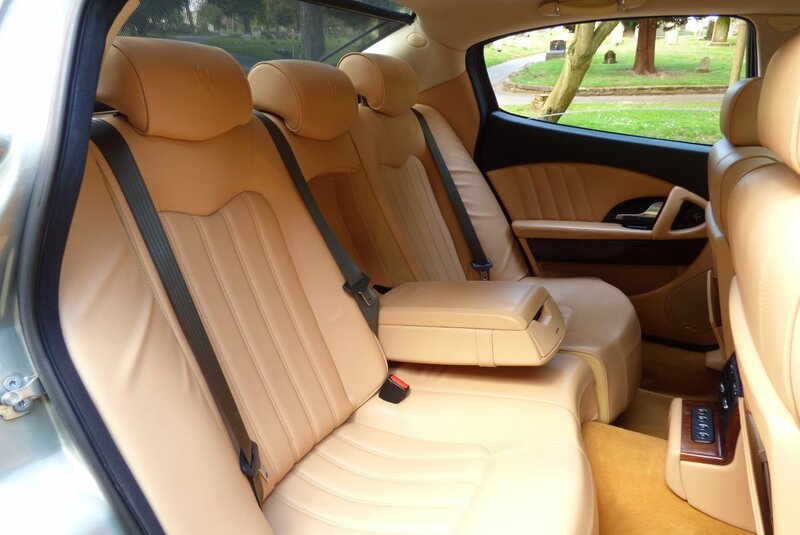 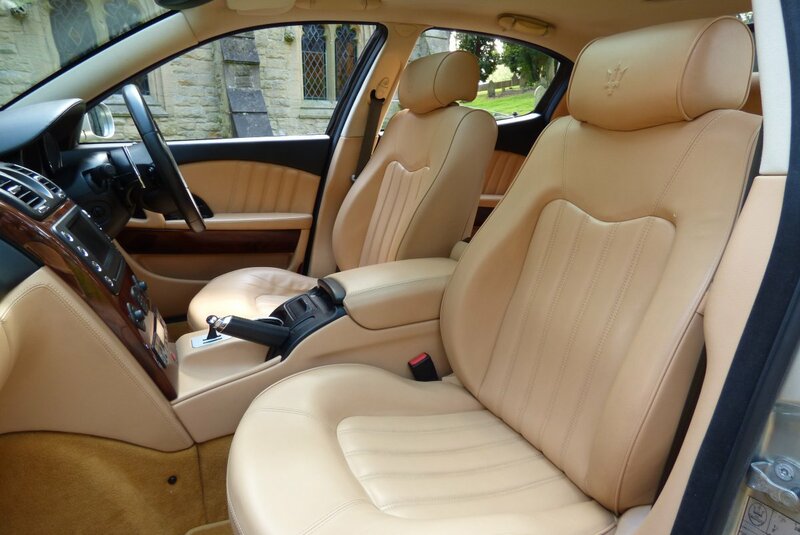 The Interior On This Example Is Presented In Maserati Crested Beige Leather Seating Delicately Detailed With Beige Twin Needle Stitchwork, Tappeto Biondo Carpets, Pearl Beige Roof Lining, A Two Tone Leather Dash That Wrap's Around This Luxurious Area And Then Beautifully Finished With Rosewood Interior Inlays. 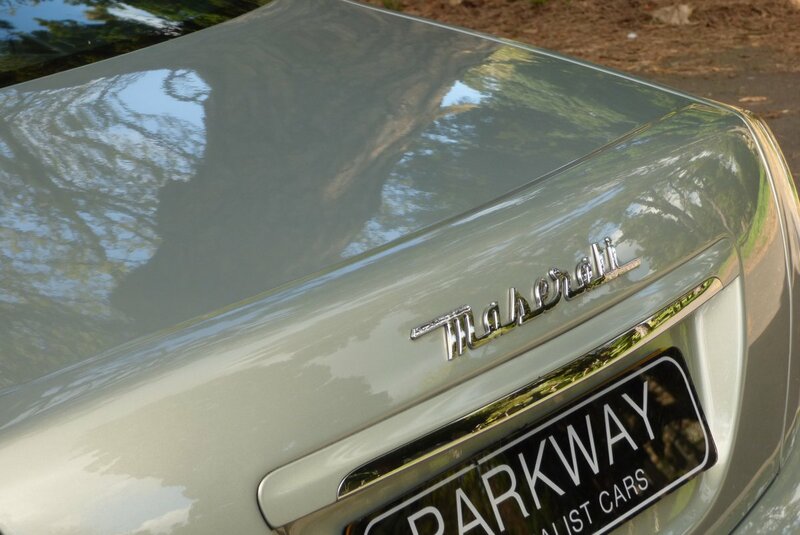 Not To Be Out Done By The German Competition, This Car Boasts A Vast Specification, Which Is Perfect For That Trip To The South Of France Or The Daily Journey Into The City. 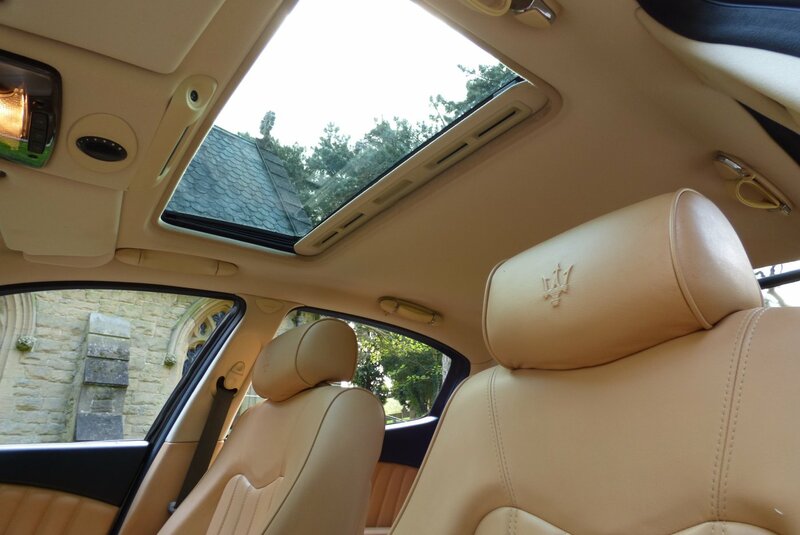 The Perfect Balance Of Refinement And Space. 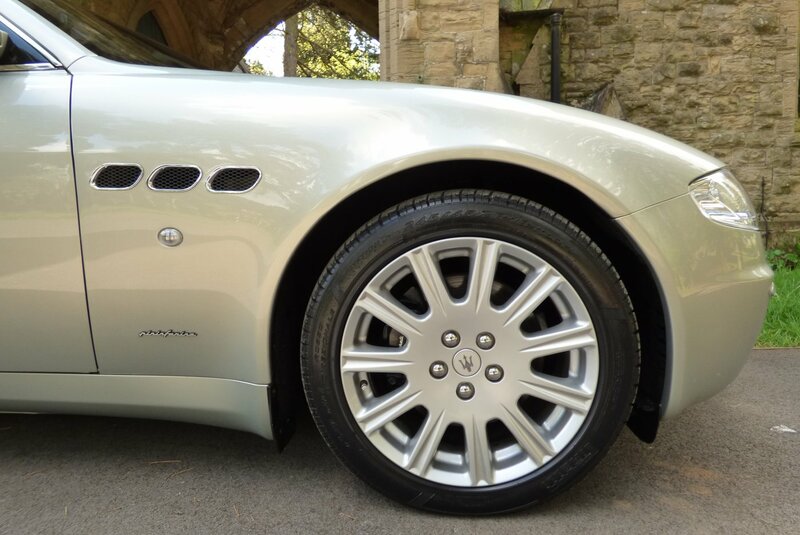 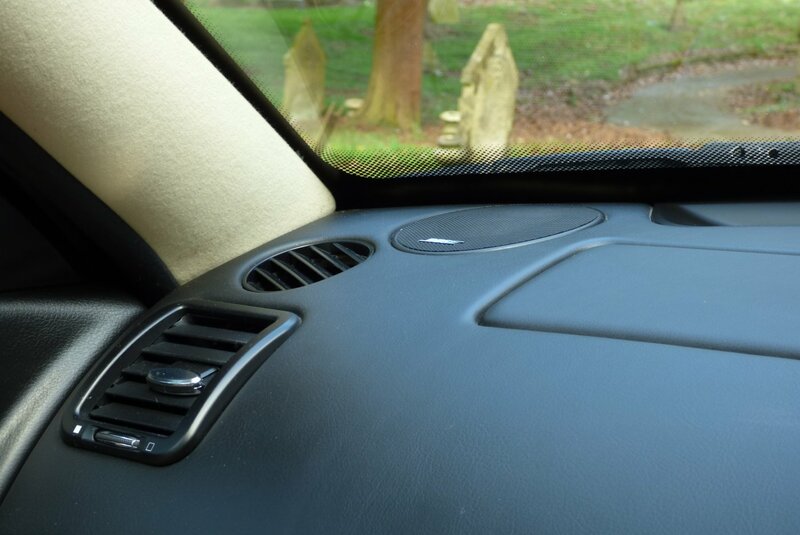 The Sculptured Body Is Indeed A Beautiful Thing, With Our Car Offered In The Rare Acquamarina Pearl, Which Is A Fantastic Colour In Demonstrating The Dramatic Body Lines And Subtle Curves. 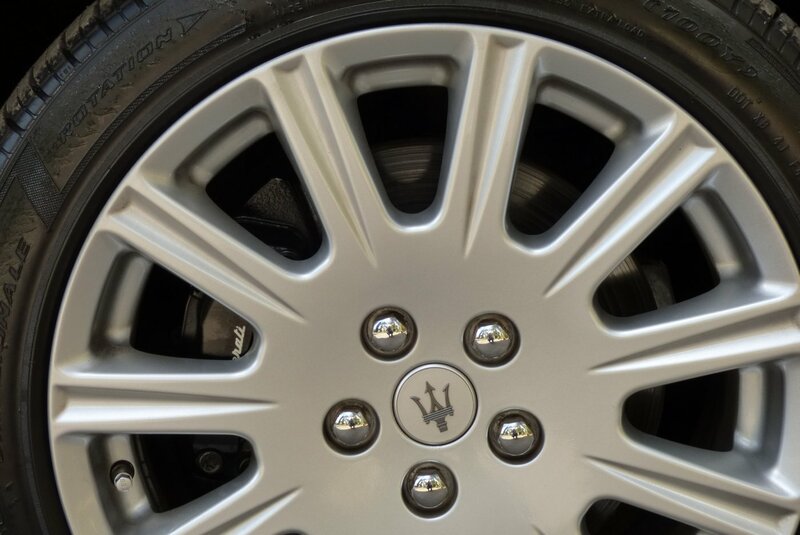 Further Enhancements Include 18" 11 Spoke Maserati Alloy Wheels, Chromed Trident Rear Embellishments, Chromed Quad Exhaust Tips, Chromed Front Grille And Dark Grey Embossed Maserati Brake Calipers. 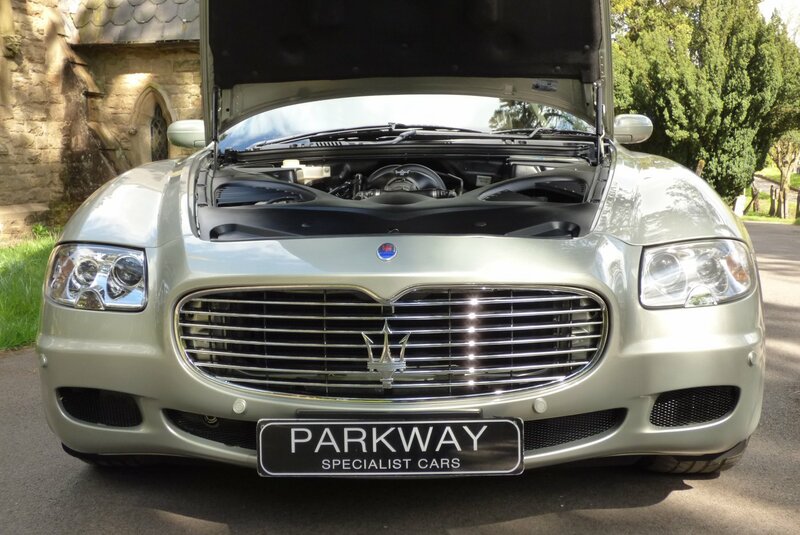 The Factory Build Card Include The Following Options Of 18" 11 Spoke Silver Finished Alloy Wheels Which All Sit On Branded Tyres, Full Colour Information Screen With Satellite Navigation System, Dual Zone Climate Control, Variable Heated Front Seating, Front And Rear Distance Park Control, Xenon Headlights With Power Wash Function, Electric Folding Mirrors, Cruise Control, Nero Black Leather Bound Multi Functional Steering Wheel With Paddle Shift, Maserati Sports Mode, Maserati Aluminium Embossed Sill Plates, M/S Shift, Electric Rear Blind, Trident Chromed Rear Badges, Electric Glass Sunroof, Electric Front Seating With Memory Setting, Bright Silver Front Grille, Remote Central Locking With Alarm, Rain & Light Package And So Much More. 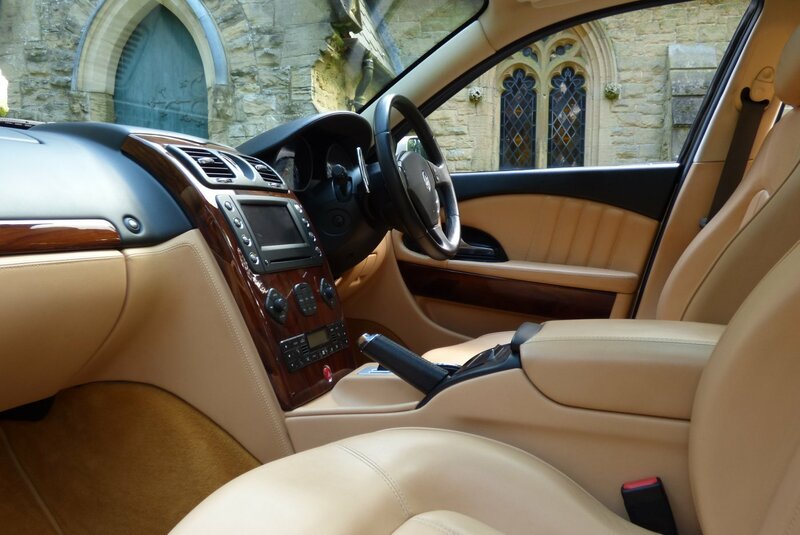 The Car Also Boasts The Entire Booklet Pack Set, Has A Fully Cleared Hpi Certificate And A Full Key Set.